Indian shuttler ace Saina Nehwal has been declared the winner of the Indonesian Open 2019, after her opponent, Carolina Marin pulled out with a thigh injury in Jakarta on Sunday. Indian shuttler ace Saina Nehwal has been declared the winner of the Indonesian Masters 2019, after her opponent, Carolina Marin pulled out with a thigh injury in Jakarta on Sunday. The Spanish international started off well and was in the lead but she struggled to continue after pulling her muscle. Marin, three-time World Champion and reigning Olympic champion, qualified for the finals after eliminating India’s PV Sindhu in the quarters and China’s Chen Yufei in the semifinal by the scoreline of 17-21, 21-11, 23-21. 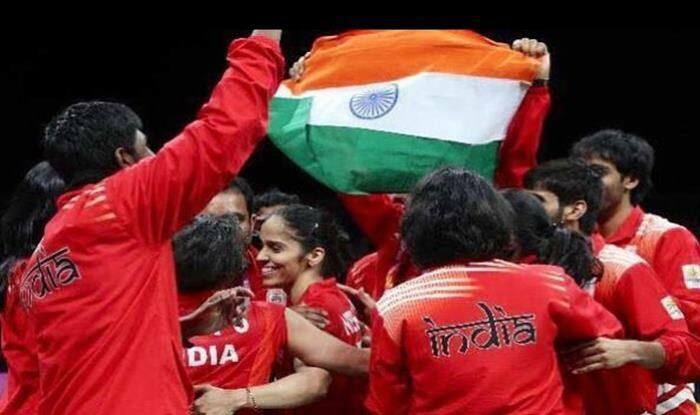 Eighth-seeded Saina defeated China’s He Bingjiao 18-21, 21-12, 21-18 in a 58-minute affair to book the finals berth. In the tournament, Nehwal performed with grit; she came from behind in the last two matches after losing in her first outing. The 28-year-old had marked her eighth Indonesian open finals appearance. In last year’s Indonesia masters finals, Nehwal lost to Chinese Taipei’s Tai Tzu Ying 9-21,13-21 in the women’s singles event. She also recently lost to her opponent, Marin at the Malaysia Masters 16-21, 13-21. The Hyderabad-based shuttler displayed a performance in the year of 2018, winning gold at the Commonwealth Games, a bronze at the Asian Games and had reached the summit clash of Denmark open, Syed Modi International and Indonesia Masters in 2018. “It is an important year for all of us. It was not good to see at all. It is painful. I have been getting injured a lot in the last few years and to see something like this on the court is really painful,” said Saina, who had suffered a career-threatening knee injury at the 2016 Rio Olympics. It is a creditable performance for the Indian, who had suffered a shin injury late last year. “I took a break the whole of December. I played these events to see how good I am and I was surprised with myself. January 1 was my first match (PBL) against Sindhu after the injury. I didn’t do any kind of training. Doctors asked me not to do any training,” Saina said. “But I am not happy with the way I got it today. Of course I am happy that I could reach the finals, beating difficult opponents like He Bingjiao. Both the tournaments, I am very happy with my performance. It is great to beat (Nozomi) Okuhara, Binjiao, Dinar (Dyah Ayustine). “In the finals, of course, Carolina had the upper hand and I wanted to fight and see how the match goes but it was unfortunate what happened,” added the 28-year-old from Hyderabad. Olympic champion Marin was favourite to win the title. Coming into this match, she led 6-5 in her head-to-head record against Saina, an opponent she beat last week at the Malaysia Masters semifinal in Kuala Lumpur. The fast-moving Spaniard made a rampaging start to take the first two points before Saina started to engage her in rallies and caught the Spaniard at the net to log her first point. But the Indian missed the backline a couple of times and also found the net to allow Marin lead 6-2 at the Istora Senayan.